Over the past week we have been shooting our new P.L.U.T.O. 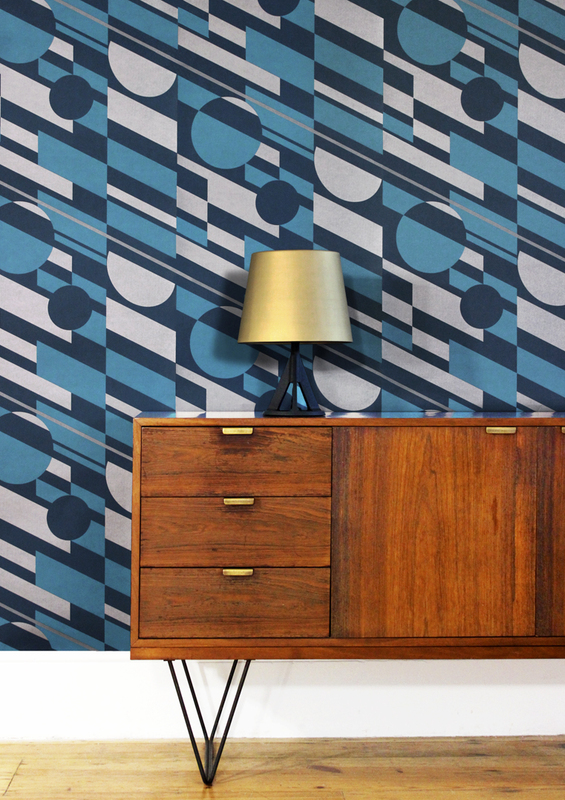 wallpaper at the home studio of Ben and Joe from Hopper and Space – who kindly let us use their space and their fantastic collection of furniture. We were lucky enough to be able to use their BLOC club chair and sofa which they have designed and had just taken delivery of. 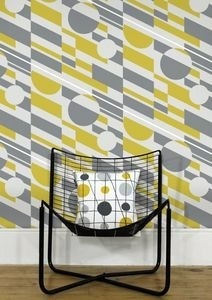 Mini Moderns P.L.U.T.O. 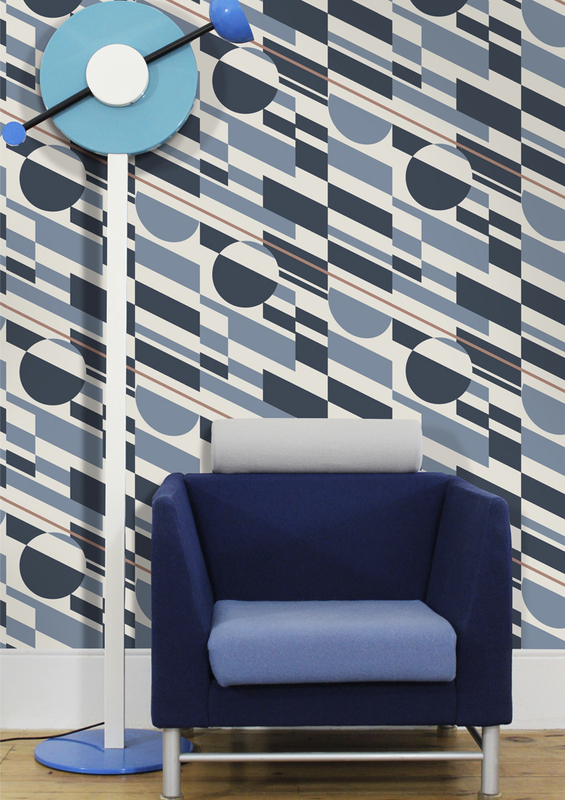 wallpaper is named after The Pipe Line Under The Ocean – a fuel line running under the English Channel from Dungeness and Greatstone to the French coast, constructed to supply fuel to the allied D-Day invasion army during the Second World War. 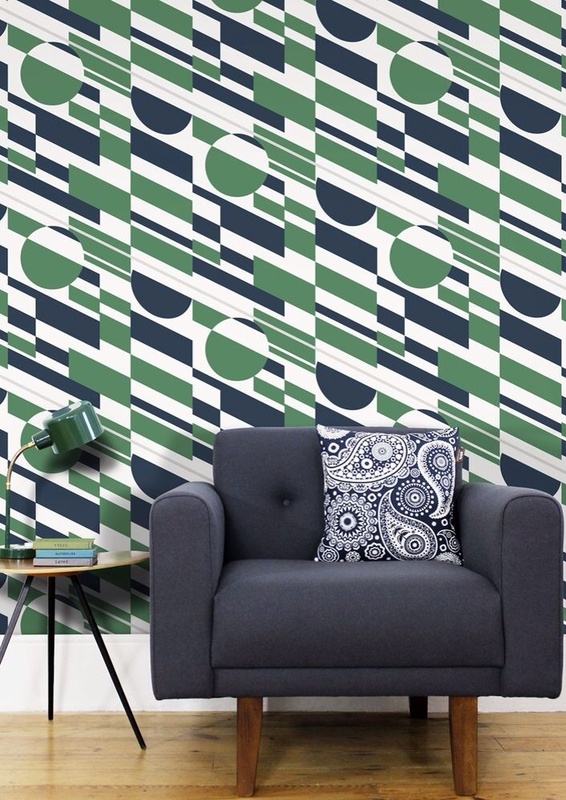 We expressed idea of the pipeline in the design as a continuous metallic line, running diagonally across a background inspired by the ‘dazzle’ camouflage featured on military vessels during the two world wars. 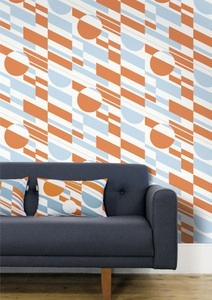 The design also features circular and curved motifs based on the three Dungeness ‘Sound Mirrors’, or ‘Listening Ears’. These pre-cursors to radar could detect enemy aircraft across the channel before they could be seen. The magnificent concrete structures are still standing today, and add to the unusual beauty of the Dungeness area. P.L.U.T.O. is available in 5 colourways: Washed Denim & Copper, Coach Emerald & Silver, Tangerine Dream & Silver, Mustard, and Lido & Copper.